For those passionate about the underwater world it is amazing to see how extraordinarily different the seas are around the world. This was the case for us: Noelia Hernández, an oceanographer from Spain and Osa Conservation’s new Marine Program Coordinator, and myself, Mónica Espinoza, a marine biologist from Costa Rica and Osa Conservation’s new Marine Conservation Scientist. We had the opportunity to meet for the first time at Saladero Ecolodge, and from that moment, we realized that we both have a great affinity, passion and curiosity towards the sea. For this reason, we are extremely excited to be the new members of the Marine Conservation Program at Osa Conservation, to build on the local partnerships, and to protect this unique and special marine landscape. 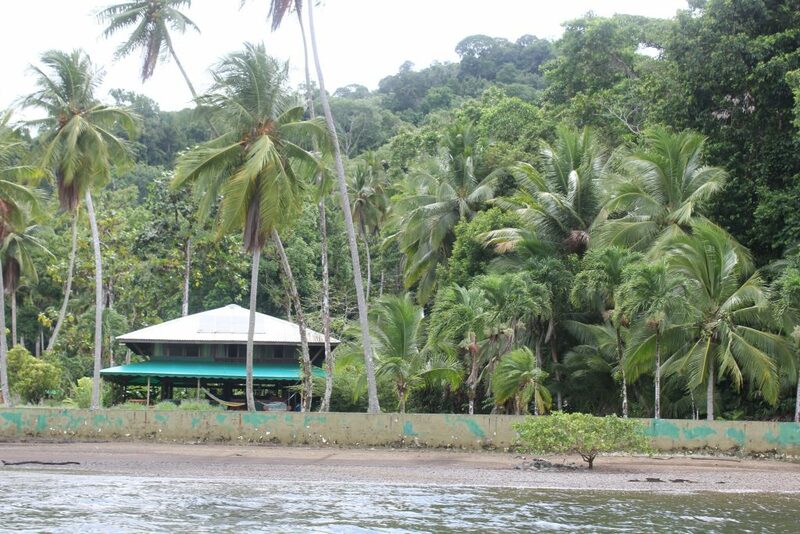 The experience at Saladero Ecolodge started by taking a canoe and navigating through the calm waters of Golfo Dulce. Once across this incomparable tropical fjord with a depth of around 200 meters, you can see the Piedras Blancas National Park. Saladero is located right at the foot of this protected area, a site that immediately exhibits that special interaction between the sea and the land. When we arrived, we had the opportunity to explore the primary and secondary forests that surround this beautiful hidden corner of the South Pacific, and to suddenly find the flow of the river that crosses and bathes the beautiful lands of the tropical forest and converges in the waters of the blue sea of Golfo Dulce. That is when we decided to venture in kayaks to be one with the river, to flow through its channels and be surrounded by nature. At the mouth of the Esquinas River, we found the complex mangrove ecosystem, a place of great diversity in flora and fauna and a refuge for future generations of hammerheads, also known as the guardians of Isla del Coco. After that wonderful experience in this important carbon sink, the desire to enter the underwater world increased. 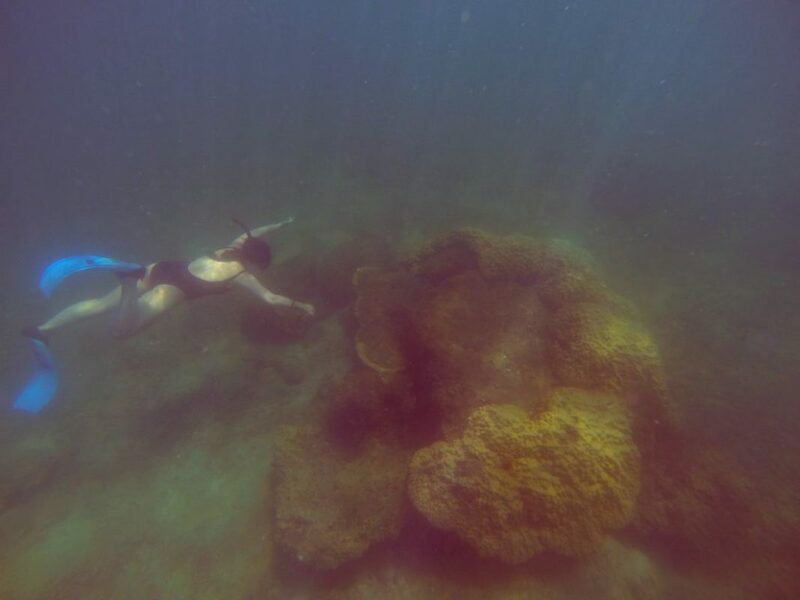 So, we took our snorkeling equipment and dove to find the submerged paradise that many seek. The world below the sea surface is a place that captivates you, takes you out of everyday life and makes you live in the present where the connection with nature is magnified. This is where we had a magical encounter with a curious hawksbill sea turtle, which seemed to stop us in time and show us how magnificent these creatures are in their own way. Sea turtles are not only beautiful animals, but also show incredible perseverance and endurance. After all, they have nested on beaches for millions of years. At the end of our little adventure we headed back to Saladero Ecolodge completely unaware of the encounter that awaited us. In a moment of rest on the kayak, we were appreciating the horizon and suddenly we observed a splash of water in the distance. We looked at each other excitedly, and when we looked closely we could distinguish around five dorsal fins that broke the surface tension of the water; they were bottlenose dolphins. Seeing one of the resident species of marine mammals in the Golfo Dulce feeding from our kayak was nothing short of spectacular. At the end of the day, this confirmed what we had read and heard about the Golfo Dulce, a home to many species, both resident and migratory, and a key site of essential ecosystems. Such an experience only reconfirmed our excitement and dedication to helping Osa Conservation expand a Marine Conservation Program to protect these incredible habitats. We look forward to sharing more information with you in the near future about this new program. Sometimes it is difficult to imagine the amount of life that congregates right on the coast, but after this experience in Saladero, we are extremely enthusiastic about the new opportunities that await us. Even more important is to fulfill our mission to preserve what we are so passionate about and that we now call our new home. 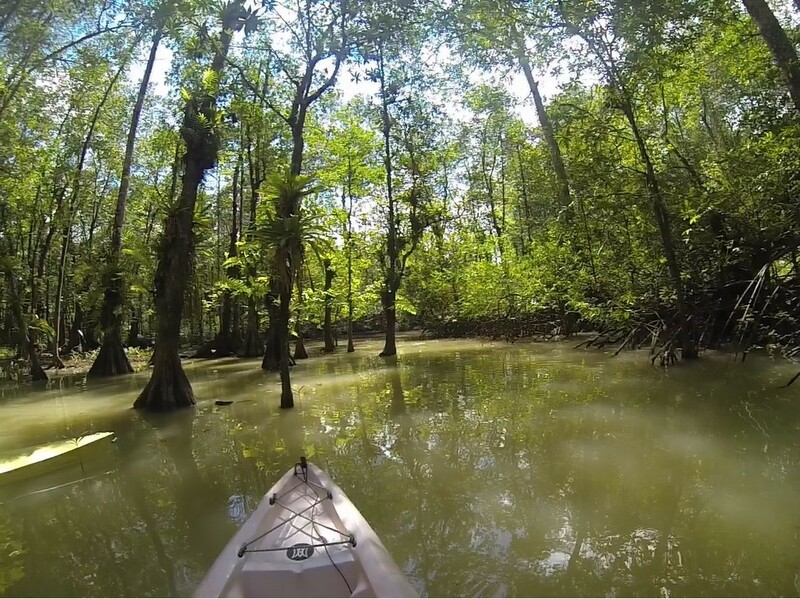 If you too are interested in participating in the marine exploration of the Golfo Dulce and the Osa, check out our travel package offered here—join us for a few days exploring the rainforests, the mangroves, and waters of the Golfo Dulce. We hope to see you soon!